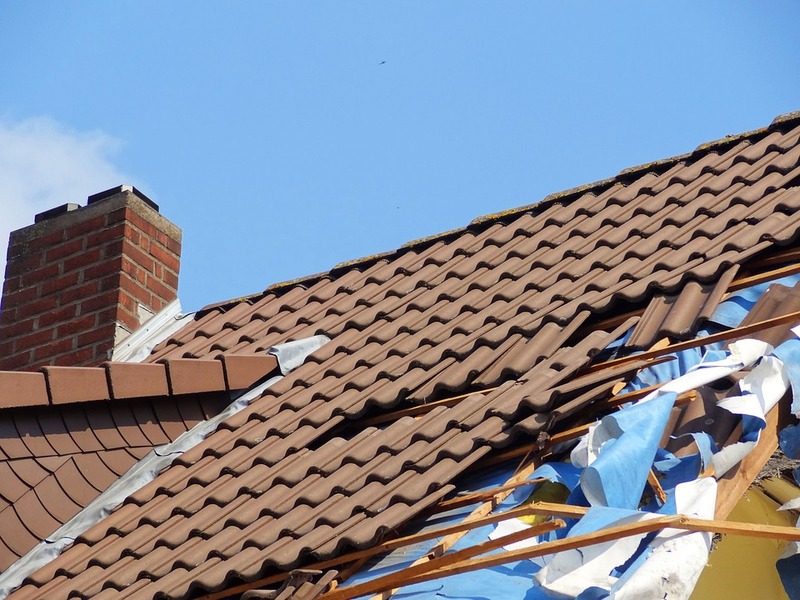 Storm damage is often unexpected, sudden, and troubling. One day, you might be enjoying a festive family gathering at your dining table, and the next, standing outside as hail the size of baseballs pelts through your roof. •To avoid structural damage, maintain shrubs, trees and bushes on the property by clearing away any dead limbs or loose branches that may be picked up during the storm. Additionally, you should ensure all gutters are clean so as not to fracture under the weight of debris. •Replace any rock or gravel material in your yard or driveway with bark or woodchips—if caught by the wind, this material will cause less damage. •Use plywood or a sturdy material to reinforce your garage door, it may cause harmful damage to your home if loose. •If you are located in an area with a high flood risk, the Federal Emergency Management Agency recommends you elevate all sockets, wiring and circuit breakers a minimum of 12 inches above the predicted flood level. •Ensure your sump pump is functioning properly and, in the case of a power outage, have a battery-operated backup pump handy. •Any poisonous materials like pesticides, cleaning products, or gasoline should be stored high above the ground. A leak could cause serious damage to your family, surrounding wildlife, and property. •Remove any glass or fragile furniture from the outdoors. Sturdier items should be tied down. •Be sure to put any machinery or vehicles in a secure garage and use a thick blanket to cover them for extra protection. •Cover flower beds and gardens with tough plastic bins or, if possible, relocate them to a covered area. Despite the time and effort dedicated to protecting your property, the storm may still do damage. There is no manual that can totally prepare you for what Mother Nature may bring, so it’s important to give your property a thorough inspection after the storm has passed. Scanning your property with a fine-tooth comb for things like detached wires, loose shingles and boards, and broken branches will ensure that your home is ready for whatever storm may come next. By walking the perimeter of your property, you can be confident you have surveyed the whole lot. Time is of the essence when you’re expecting a storm. Take advantage of modern technology and use that brief window of time to ensure your property is protected.